Adsterra is back to Affiliate World Asia 2017! The largest global affiliate conference is taking place at Bangkok, Thailand on December 6-7. No need to say that Affiliate World Asia is an absolute must for affiliates and online marketers.This year the conference would gather together over 3K attendees. With 30+ speakers and 130+ exhibitors, it’s a unique opportunity for staying on top of the latest trends and for business networking. 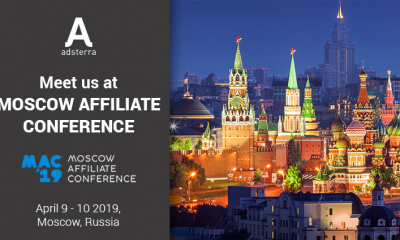 Adsterra team would be happy to meet those who are interested in growing online business and explore new digital advertising opportunities. 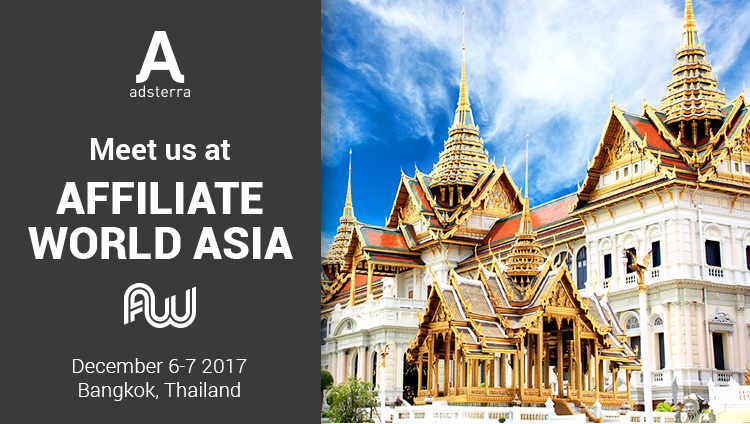 Schedule your meeting today and meet us at Affiliate World Asia 2017!